The philosophy behind Dark Forest has always been to play exciting, rousing, heartfelt heavy metal at its glorious best. Since formation in 2002 by guitarist Christian Horton and bassist Dave Batham, Dark Forest has constantly evolved and developed and continues to do so, combining a strong appreciation for the classical with the full blooded sound of a distinctly English brand of heavy metal. Dark Forest offers a technical yet fiercely passionate brand of music that defies categorization and all the stereotypes of the genre. 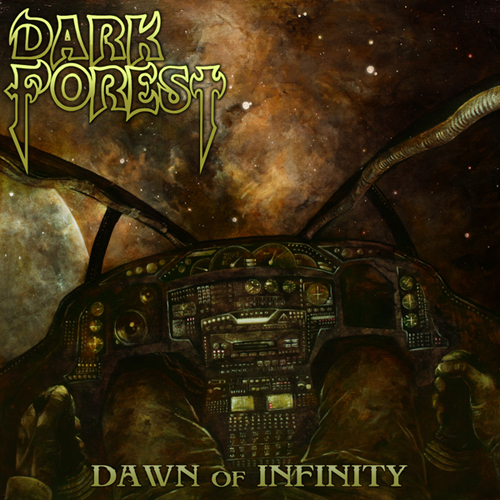 DARK FOREST are now striking again with the ambitious release of "Dawn of Infinity". The album fulfills the expectations placed in one of the most interesting bands in nowadays UK's metal scene, classic British metal composition matching folklore and Celtic soundings. Guitars lead the songwriting, with dueling moments of Iron Maidenesque tradition supported by a charismatic and operatic vocalist. DARK FOREST definitely stands as a new bright star in traditional Metal firmament!